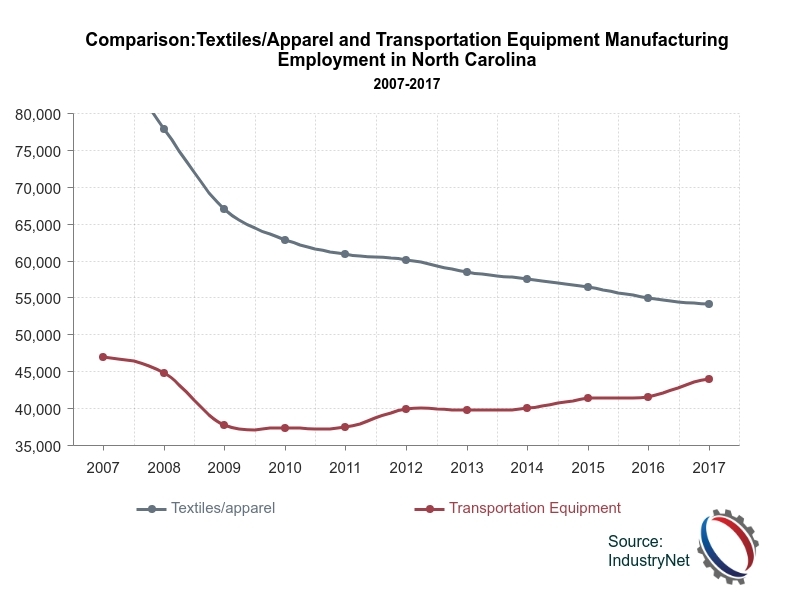 Taking a closer look at this data reveals job gains during this period were primarily led by the transportation equipment sector, which has steadily outpaced many of North Carolina's traditional sectors in terms of job growth. The chart below compares job growth in the transportation equipment sector to losses in the textiles/apparel sector. For a more in-depth analysis of North Carolina's manufacturing sector, including year-by-year look at growth since the recession, see our latest report: Inside North Carolina's manufacturing boom.